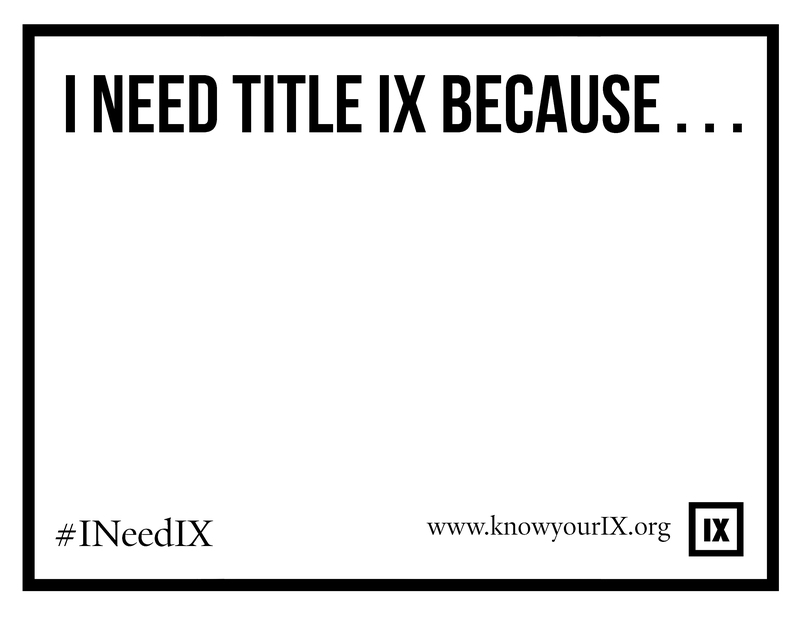 Now that you know your IX, do you want to spread the word to others? We need your help! 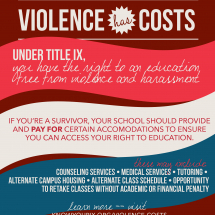 Here are three ways you can help promote Title IX knowledge and combat campus sexual violence. Our social media campaign depends on the efforts of people like you. Visit us on Facebook and Twitter to see what we’re posting, and share, tweet, and email our website, resources, videos, and graphics. 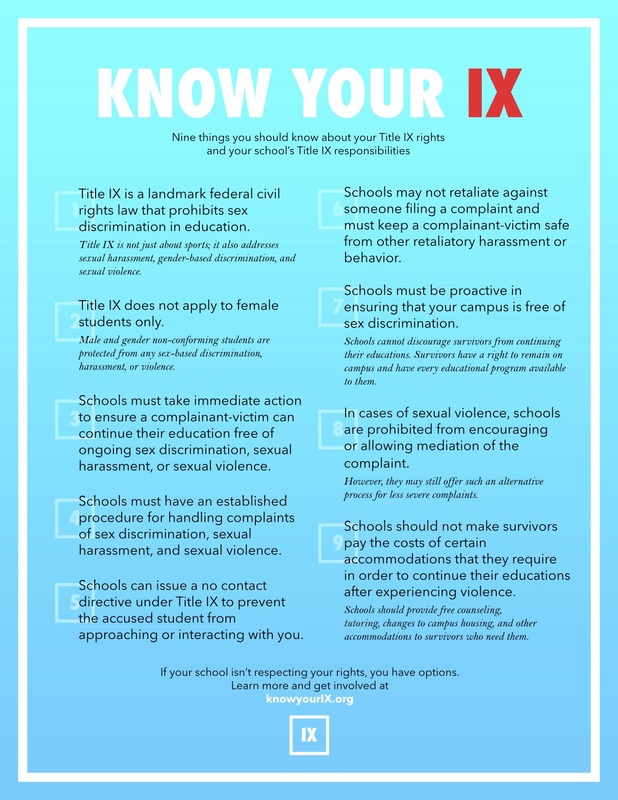 Do students at your school know about Title IX? 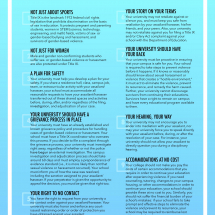 We are working to place “Know Your Rights” notices in campus newspapers and on social media, and would love to work with you to bring this info to your college or university. 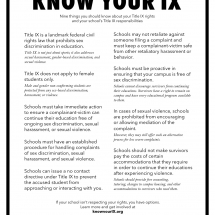 The Know Your Rights newspaper “ad” includes the top nine things to know about Title IX. 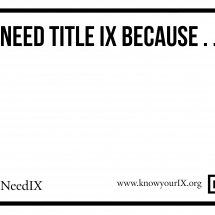 The online ad links directly to the Know Your Rights basics. 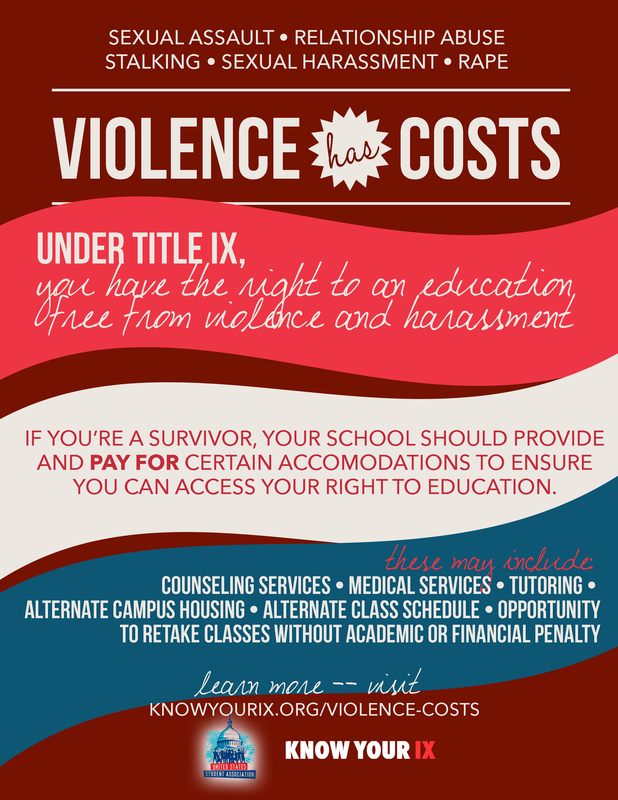 Both will help students on your campus stand up for their rights if they are sexually harassed or assaulted. And they’ll put your college administration on notice, too — if students know what they are guaranteed under federal law, the school will have to shape up. If you’re interested, contact us. 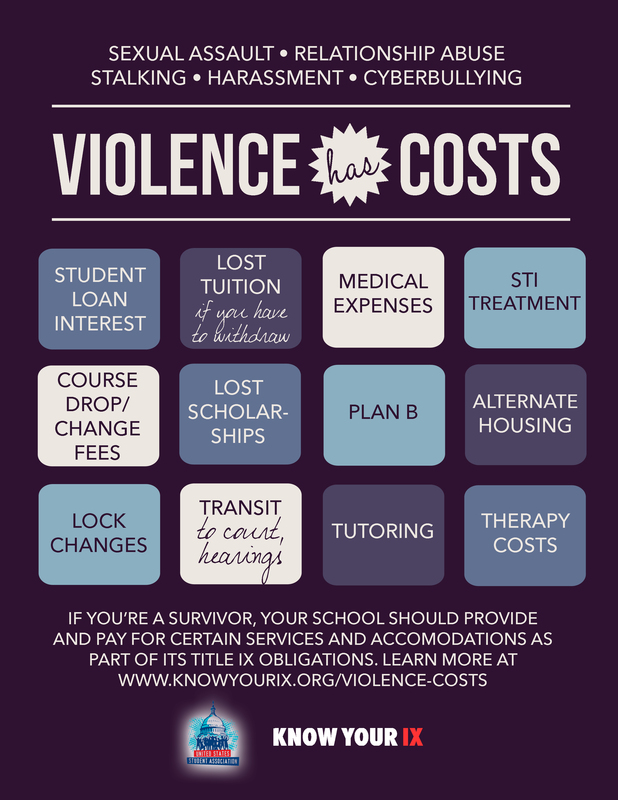 If you’re worried about funding, we can discuss how Know Your IX can support your efforts. Take Know Your IX offline! 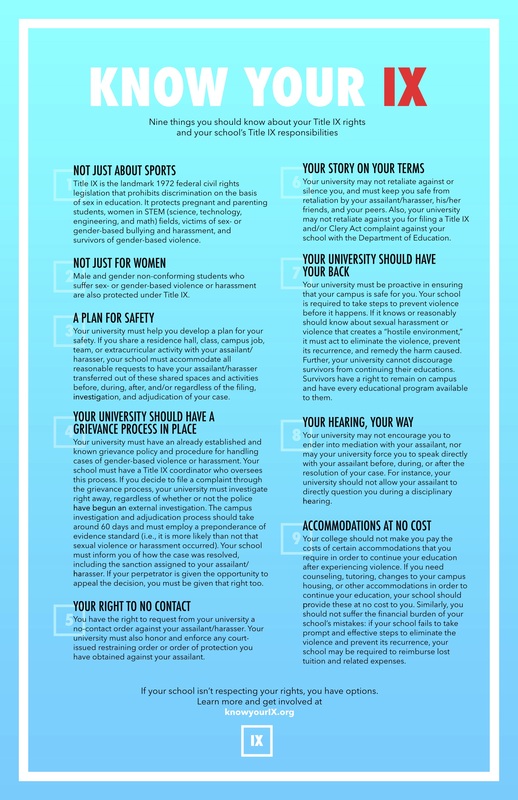 We encourage you to print out our resources to poster your campus, hand out in the dining hall, include in registration or freshman orientation packets, or share at your Women and Gender Center. 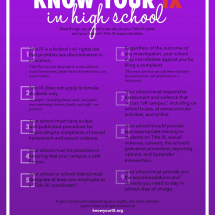 Click on the thumbnails below to download our legal education posters. Send us pictures of the graphics around your campus! 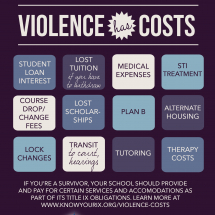 You can also share these graphics from your campus organization’s social media accounts — if you do, let us know and we’ll amplify.